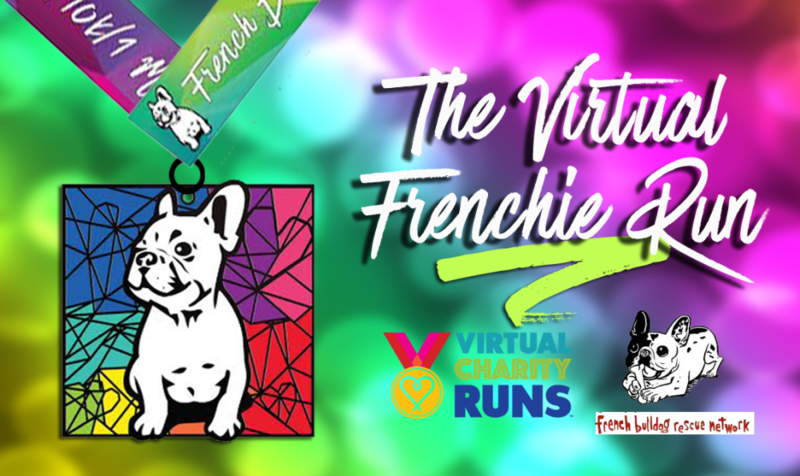 Register for the Virtual Frenchie Run - Benefitting The French Bulldog Rescue Network today! REAL good causes. REAL medals. REAL fun helping Frenchies in need. Run or walk a 5k, 10k or 1 Miler on your own time, on your own turf- it's a great way to get active this spring, but mainly - to help raise awareness and fundraise for the French Bulldog Rescue Network! 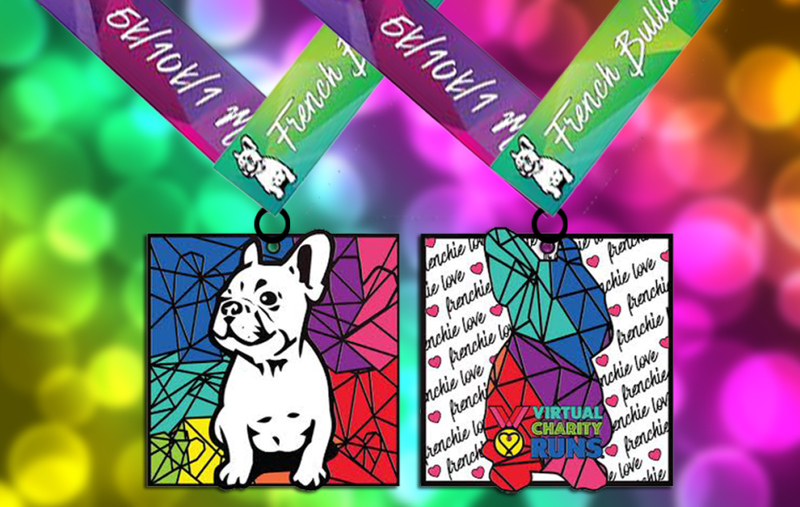 For participating, you will receive a 3" diecast, neon rainbow French Bulldog medal, with sublimated high color satin finish ribbon. Proceeds benefit the FBRN. This is a "Virtual Run" but you'll get a real medal, just do it at your pace, at your place! Join us for a "Virtual" Run- you'll still do the running/walking, but you'll be able to help the rescue no matter where you live, no matter how busy you are! EVERYONE gets a real medal for participating, earning their miles and helping the rescue. Join us from 5.15-6.30(race closes at midnight! ), and run or walk on your own time or your own turf. Miles are on the honor system, just be sure to do your miles before 6.30, and you can unofficially report your time on our Facebook page so we can cheer you on! Proceeds benefit French Bulldog Rescue Network(they're awesome!) Let's save some Frenchies! Not Able To Run/Walk? If you'd rather not run but still would like to support the cause, you can donate by clicking the "donate," blue tab above...or if you'd like to run but want to chip in extra (all donations go straight to the cause! ), please do! Want To Donate Extra on top of your race entry? You can do that too! All donations go direclty to the rescue. You can add on an extra donation in any amount on top of your registration during the sign up and checkout process for one easy transaction. Thanks for being generous! 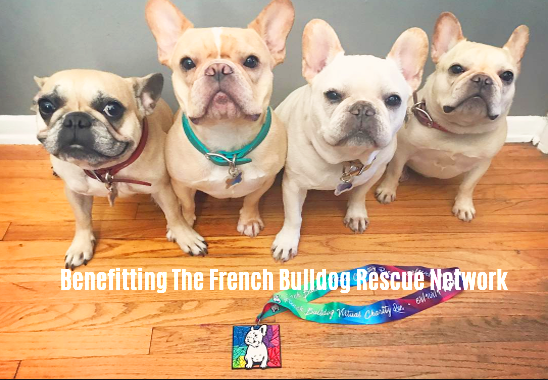 Help Frenchies get life saving medical care, rehabilitation and fur-ever homes, while getting a gorgeous souvenir medal for your support. This neon and black matte finish, 3" diecast medal comes on a high-color sublimated satin finish ribbon. It's double sided, with a fun "Frenchie Love/Love Frenchie" design on the back. This might just be our most colorful medal yet- we needed a design that would match the colorful personalities of this breed! They're fun & they're unique, much like the breed! Every runner gets a medal- it doesn't matter how fast or slow you go (or if you walk with your pup), so join us for some fundraising fun & get your steps in! Do we ship internationally? You bet! For international runners, we have a special option for you during sign up. Please select the bottom "INTERNATIONAL" registration that has built in international shipping costs. Thanks for supporting rescue! At Virtual Charity Runs, we have been fundraising for various animal rescues for three years now and have donated over $53,000 rescues through our virtual runs. It started as a crazy idea, but has since grown into an international movement for people to come together and run or walk for animals in need. As rescue parents and volunteers ourselves, we know how challenging it is for rescues to continuously fundraise, so we hope to ease the burden of fundraising for them, at least for a time. We organize the run, and take on the financial risk of ordering materials- the rescue works with us as a partner to promote and we do the work. It's our honor to serve these great causes, and writing a check at the end of the race is amazing. We keep our costs lean and give as much as we can from every sign up. This month we are honored to work with the French Bulldog Rescue Network, our charity partner for the French Bulldog Virtual Charity Run. What makes the French Bulldog Rescue Network unique is that they often take in dogs that have special needs and need extra TLC to get them ready for adoption. Some dogs are relinquished when they're older and "too much work" for their owners as they age and need care, while others are born with special medical needs as a result of puppy mills. While this isn't the case for every animal they take in, it is an organizational goal to ensure that every Frenchie, no matter how old or "special" they may be, gets a second chance at a happy life. Often, the cost of rehabilitation for behavioral or medical special cases is not covered by an adoption fee. In order to ensure that no dog is turned away, the organization must consistently fundraise. If you're a pet parent yourself, you know it's not cheap to give a dog the care they need, but it's worth it! 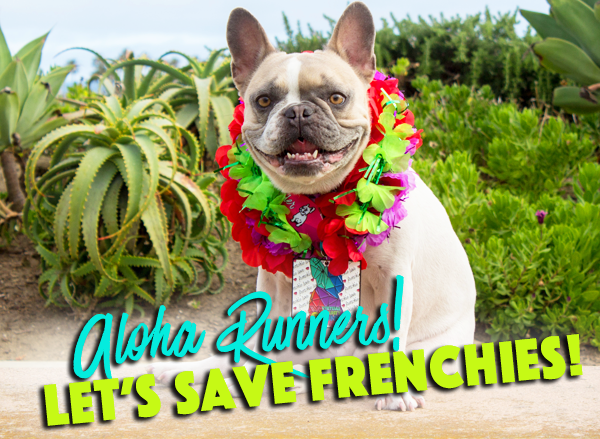 The volunteers of the organization and their supporters put a lot of love into their work, and we are absolutely thrilled to help them do more of what they do best- save lives and create more "happily fur-ever after" stories for Frenchies in need. We are hoping this fundraiser will help the foster parents and organizers keep doing the work they do which helps save the lives of Frenchies in need and help make families complete. Running a virtual race is easy! Run your desired distance (5k/10k/ 1 mile) sometime in June or July before the fundraising period ends on June 31st. It's all on the honor system (dog lovers are awesome, we know you did your run or walk) so you do not need to report your miles. You will receive your medal for participating automatically- you do not need to verify your miles (we trust you). We know things happen and lives get busy, so do your miles when you can before the race period ends. We operate on the honor system- but if you'd like to unofficially report your time, so we can cheer you on- you can do so on our Facebook page! 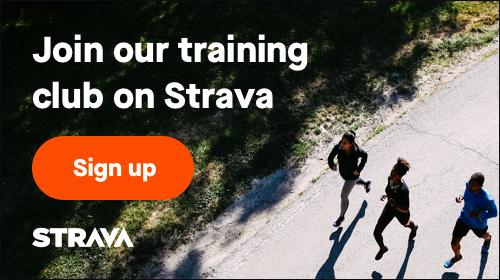 If you'd like support, join our Facebook Group to share your sweaty selfies, ask running questions and connect with other awesome runners.